There is a general thinking that doing cardio is a way better way for losing weight than just walking. In this article we are going to present you the reasons why walking is a more efficient method for losing pounds than running. 1. While doing cardio, muscle and fat calories are burnt. While you are running, the body isn’t able to burn the calories that should be burnt. Instead, the muscle mass is decreased. This isn’t toyour advantage since muscles burn more calories. 2. When doing cardio exercises, there is an increasing of the production of cortisol- a stress hormone that leads to a bigger want of food. This happens because there is a need for overcompensation for the calories that were burnt. In the end, you will consume even more calories than you lost. You become leptin-resistant if you do excessive cardio work. This condition is the same as having a lack of sleep caused by hormones. In this way your body cannot realize if it is full. You will end up feeling starving or even develop insulin resistance because of the large cortisol amounts. The result will be gaining weight again. Doing cardio exercises can negatively influence the normal function of the thyroid. The thyroid produces a T4 hormone for normal metabolism. This hormone is transformed into a T3 hormone in order to help the metabolism. When producing too much cortisol the thyroid is not able to create T4. The result is a dysfunctional metabolism, lower level of energy and lower capacity for burning fats. 3. 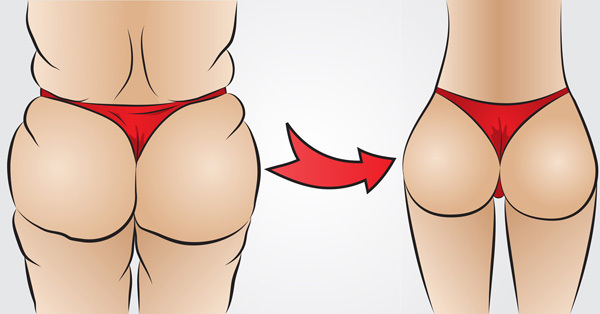 People who are overweight can experience a negative influence from running especially on their knees and other joints. Overall, cardio can be the reason for muscle mass reduction, imbalance of the hormones, and not so fast metabolism. All this can result in gaining weight and as previously mentioned it can negatively influence the knees of overweight people. Walking is considered to be way more healthy although it doesn’t have the same effects in calorie burning as the running has. In contrast to running, the walking lowers the cortisol. Walking doesn’t result in food cravings and feeling of hunger as the running does. It also creates dopamine and serotonin that stimulate the feeling of motivation and happiness. So, we advise you to walk as much as you can. Spend 30 to 60 minutes walking, three times a week. Gradually make it six times a week. Instead of doing cardio exercises go walking as it will relieve the stress you feel daily. If you dream of having an attractive looking body, do metabolic resistance exercises . 20 to 30 minutes of exercising will be enough. Combine this with an appropriate diet and forget running.